Installing decks can increase the value of your home substantially. This is because decks are a great addition to your home which look great, but also because they increase the area of your home. So as a result, if you ever want to sell your house, decks are a great investment. Building a deck gives a lot of extra space in your home. This gives you a designated area for a lot of activities that may have taken up a lot of space in your home or your yard. For example, you can keep your potted plants on your deck, put some chairs on it or even keep your barbie there. In addition to that, you can entertain guests and use it as a storage space. Getting a deck is just really efficient. Decks can be installed really quickly and they are not all that expensive. 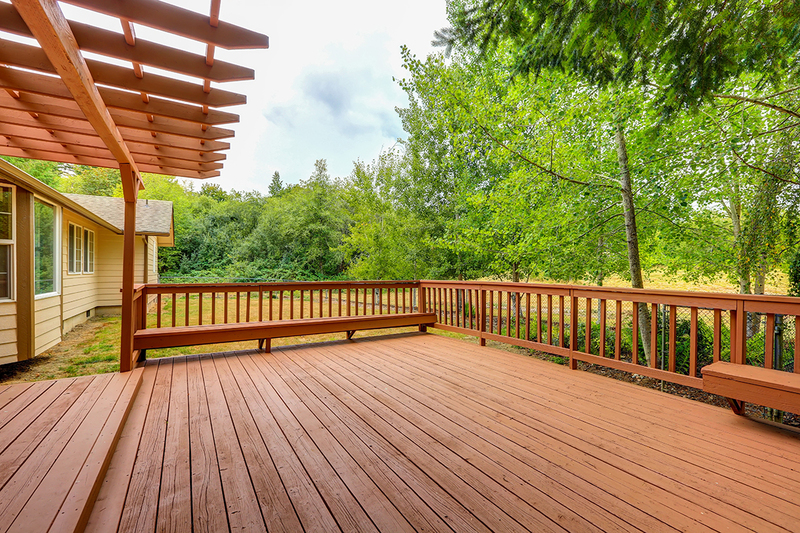 The financial aspect of getting a deck looks even better when you consider selling or renting your property. You get the money you invested returned to you many fold since the deck will increase the value of your property. On top of all that, decks are a great addition to any home based simply on the fact that they look amazing. There are a range of types to choose from, so you are in control of what you want it to look like. You can choose to enhance your already awesome home, or you could install a deck to add something new. Now that you know how great a deck installation can be, pick up the phone and give us a call! What type of deck do you need?